With its release date slowly closing in, Battlefield V is poised to be one of the biggest online shooters of the year. Promising so much in the way of a new take on the WWII setting and a host of features new to the series, expectations are high for this franchise to truly perform with something spectacular. We were one of the lucky ones to get in on the closed-alpha for Battlefield V and we had a blast diving into Grand Operations and Conquest. In fact, we enjoyed it so much we just had to share it with you here! Sit back and enjoy some intense combat and gorgeous 4K graphics. And with that we won’t bore you with a bunch of talking, let’s jump right into the next one. 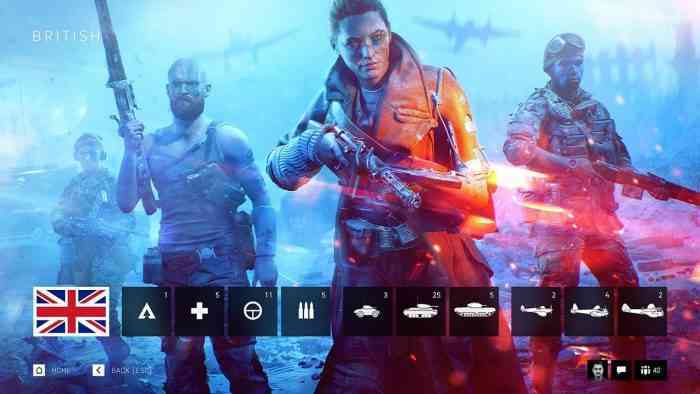 Battlefield V is the latest in the Battlefield series. Set during WWII, DICE has stated the game will take place at lesser known or explored battles during the time frame as the setting itself has been overused in the past. Battlefield V will include all new gameplay options like towing mounted weapons, a new revival system that changes the process yet balances it nicely, and the ability to fortify locations and barriers to create safe spaces and minor forts to hold. Battlefield V is set for release on October 19 on PC, PlayStation 4, and Xbox One. For more information check out the game’s official website, and be sure to let us know what you think about this new step into WWII on Facebook, Twitter, or the Comments section below.